Solar, or low voltage systems we can handle them all. 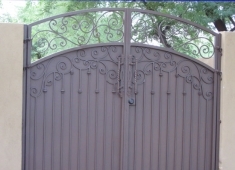 Either sliding gates or swing gates. Operate with your smartphone or use keypad entry system. 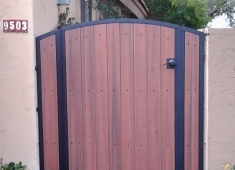 Double side yard gates are available in maintenance free composite wood, and powder coated frame. 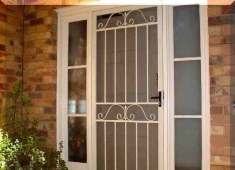 Or fill in our Online Secure Form for your free quote. 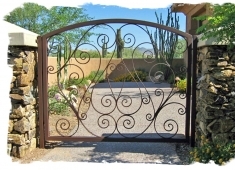 Our custom hand-forged wrought iron entry gates provide beauty and additional security from unwanted elements. 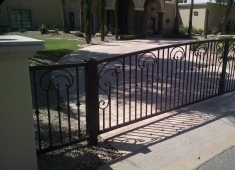 Or For your Free In home Quote fill out our Secure Online Form. 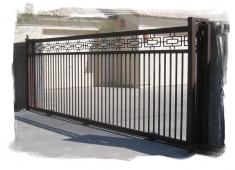 Top Quality side yard gates built to provide a Long lasting Durable safety barrier for your home. Court yard gates function as a window into your courtyard. 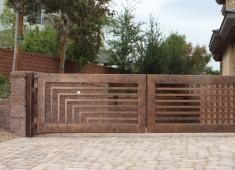 Custom Gate Gallery by Action Gate.